Taking its name from the Latin word for “flow” Fleure is created from a single board of Native, locally sourced Ash. 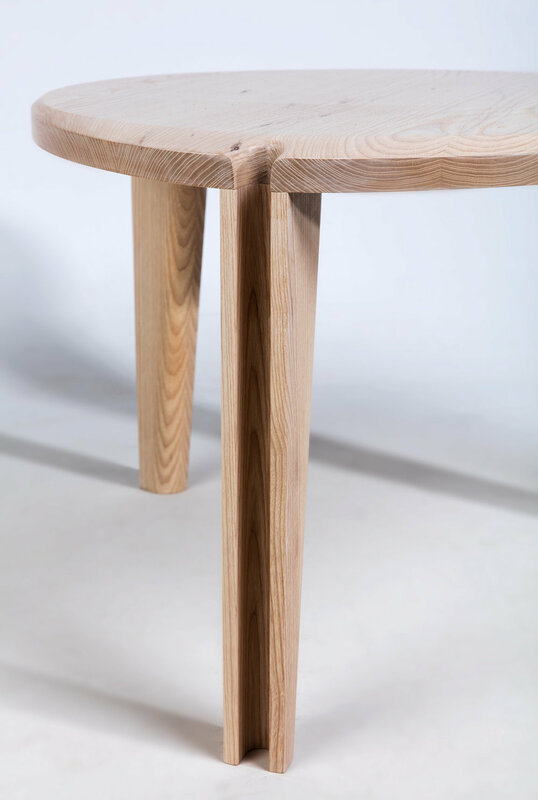 The tables form is inspired by the shaping of our natural landscape by flowing water. It is designed to appear as if it could itself have been formed by this process. The top aims to give the impression that it once was a sharper, pointier shape but has been worn down over millennia by the abrasive action of water flow. It has become rounded and softer in appearance over this time and as the water follows the path of least resistance, it flows over the brink and down the legs eroding a channel as it does so.